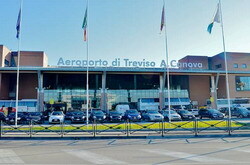 Airport Treviso Sant Angelo TSF is a commercial airport which is 3 km away from the Treviso and 20 km away from Venice. 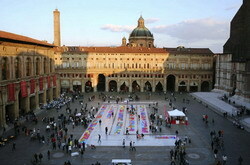 The airport serves flights from London, Paris, Berlin and other European cities, which make it very popular. You can reach the city in different ways. You can call a taxi and it will drive you to the city as soon as possible, but you will have to pay for the trip quite a large ammount. If you want to save , you can look for such an option as a transfer service (arranged by our company) from the airport to Treviso or to Venice. It`s cheaper than a taxi, but there is no need to refuse from the comfort on the way. It would be a great choice!